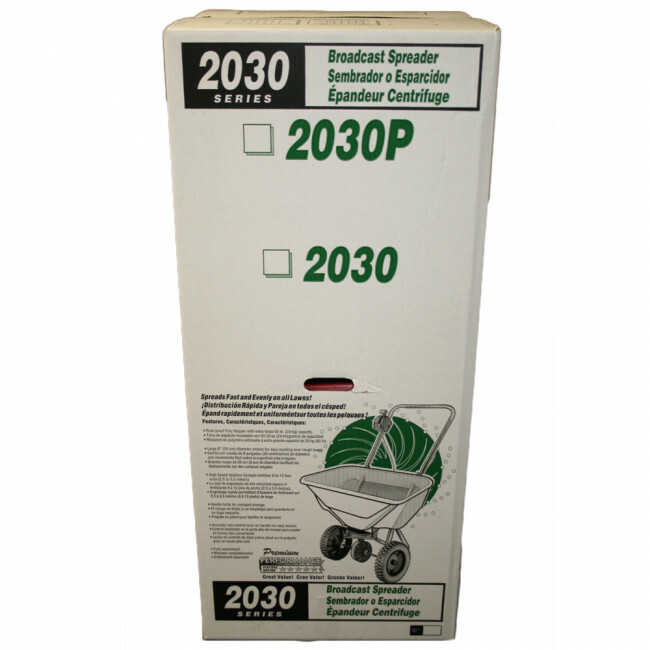 Suitable for spreading dry and free flowing white de-icing salt, ice melts, fertiliser & grass seed, the 2030 broadcast spreader utilises the EV-N-SPRED® 3-hole drop to ensure accurate distribution of materials in an even spread pattern. 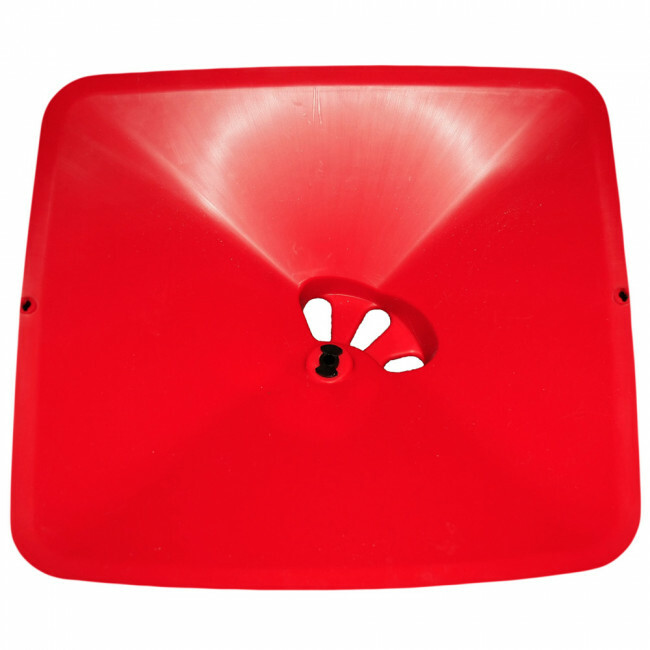 This spreader also features a gearbox, meaning the amount of salt being spread can vary depending on personal requirements. The high-speed gearing system, made of plastic/ceramic composite, is hard, durable and will not corrode. 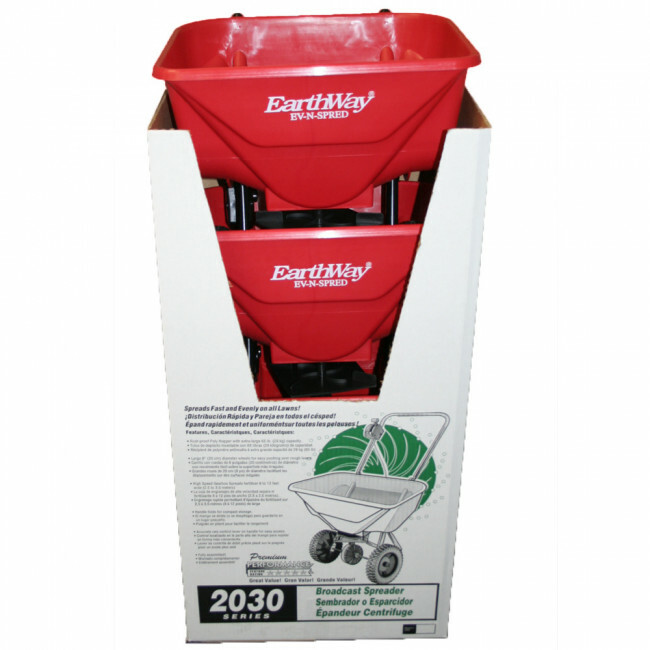 The EarthWay 2030 has a lever on the handle to adjust the rate of flow. 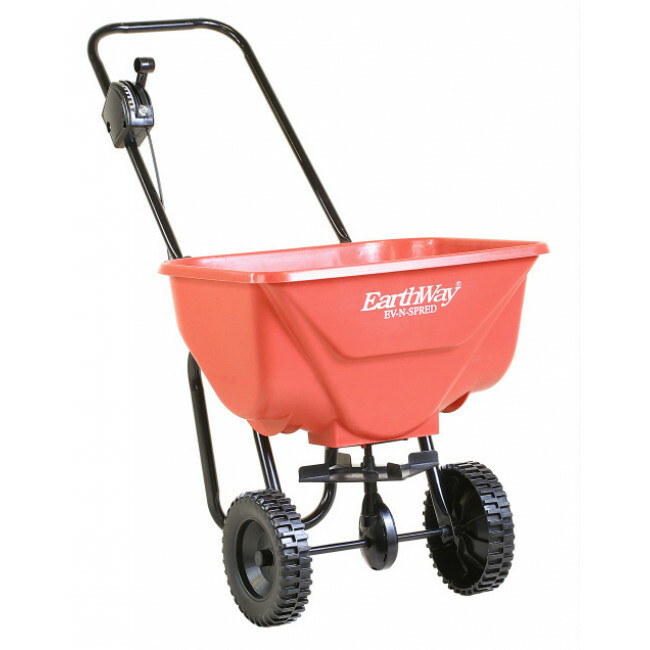 With its 20cm deep lug poly wheels, and it's 30kg rustproof poly hopper, the 2030 is a perfect and practical salt spreader. Before filling the hopper with your choice of de-icer, take some time to become familiar with the operation of this spreader. Move the stop bolt on the gearbox to the proper setting for the material you are using. 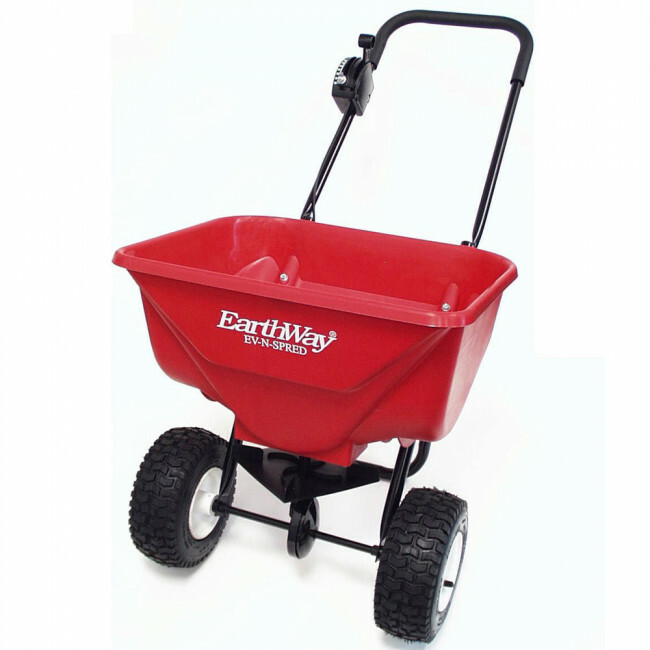 While pushing the spreader forward, shift the control lever forward to the stop bolt. Before you stop moving, pull the lever back to close the flow holes. 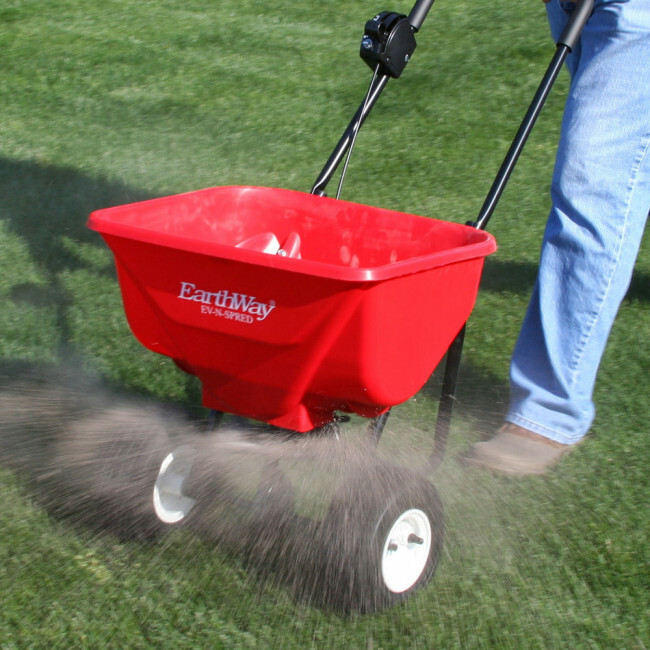 When finished spreading, empty any remaining material from the hopper, then thoroughly wash the spreader and allow it to dry before storing and re-using.